AshtonG (3 years ago) Inappropriate? nice product. just a quick question: can you use this for other icons, or any picture you want to just place in your scene? this would be an incredibly useful product if this is the case. Redfern (9 years ago) Inappropriate? Interesting! 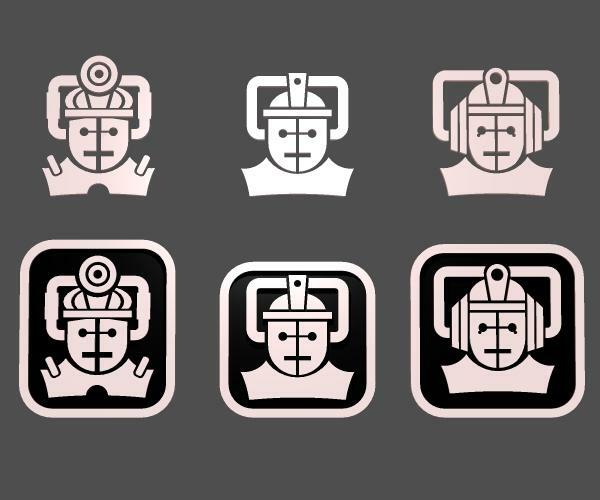 The middle one is pretty much as we saw it in "Tomb of the Cybermen", but you've taken the concept and derived equivalent designs representing the original surgical gauze covered Mondasian Cybermen and the later "ear muffed" variety that debuted in "The Invasion". Someone's been a "witty little knitter" (as Tom's Doctor spoke of Madame Nostradamas in "The Ark in Space").